Here in Pittsburgh, it's cold, snowy, and the germs are running rampant! I'm not quite sure what I would do without Netflix! All I want to do in the evening is curl up on the couch with a blanket, and watch episodes of our favorite shows with my husband! We started watching The Office in late Fall and we're currently in the final season. This show is hilarious, but I admit, I cried a few times! I'm already getting sad about the show being over! I do limit the amount of TV that my kids watch, but I let them watch a bit more in the winter. We're just home and cooped up indoors more often, and that's also when they tend to get sick. My kids don't get sick often, but over the past 3 weeks, Lily and Liam decided to catch every illness going around. First came a mild cold, then came Croup/RSV/Bronchiolitis, and that was followed up with a stomach virus. We are REALLY hoping it ends there. Netflix on the iPad really helped us get through the latest bout of illness. My feverish 3 year old is getting some rest while watching her favorite shows and movies. Lily's current obsession is Daniel Tiger's Neighborhood. She LOVES that show, and I love the fact that it isn't obnoxious. It's a perfect show for preschoolers to watch! My kids LOVE the "buddy" movies. Snow Buddies, Santa Buddies, Space Buddies, Super Buddies, Spooky Buddies...they love them all and watch them often! The movies feature a group of adorable, golden retriever puppies going on adventures. The kids laugh their way through the movies! One show that we are planning to check out is The Adventures of Puss in Boots. 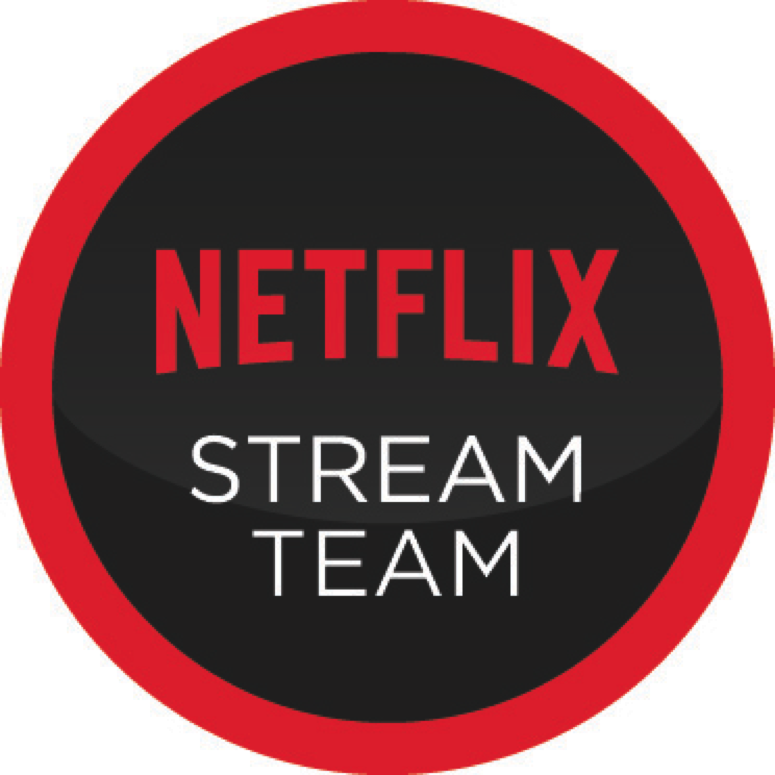 This is another Netflix Original Series. We love Puss in Boots from the Shrek movies, so we can't wait to watch! We watched the first few minutes of the first episode and it seems really cute and funny. Judging by those first few minutes, I'm certain my family will enjoy the show! 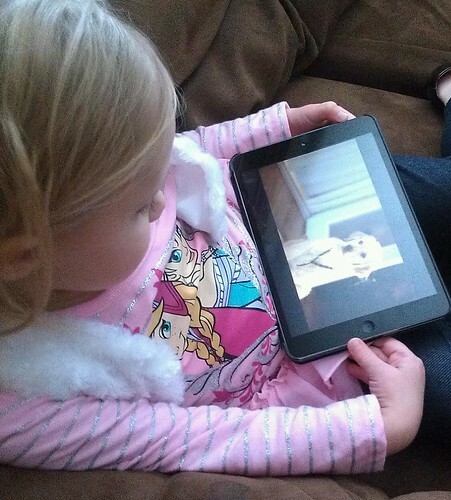 It isn't a big surprise that my kids love animal movies and TV shows. 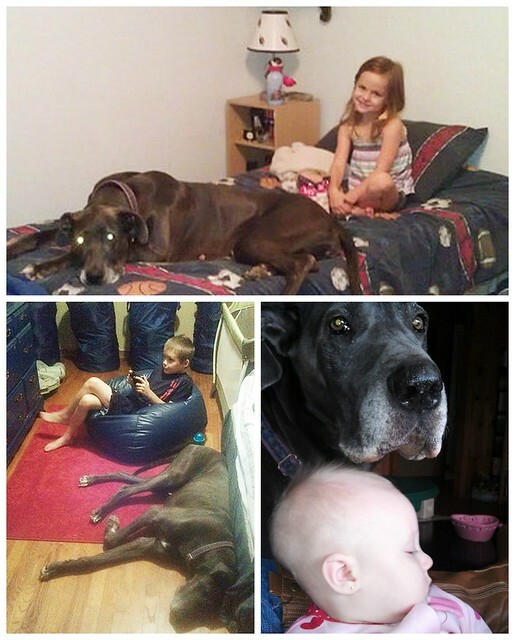 My kids are animal lovers, and they have been around animals their entire lives. 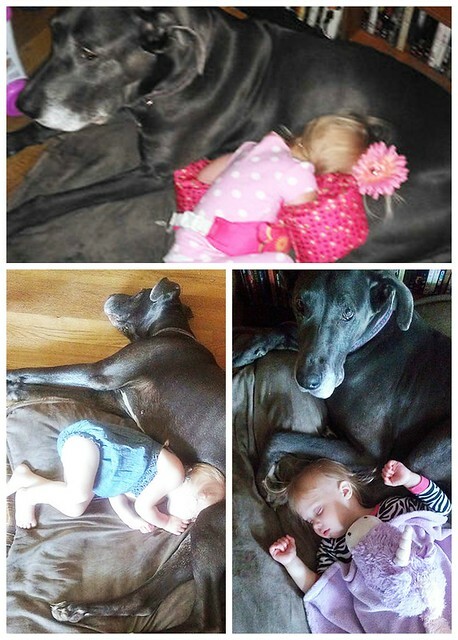 Their dog, Bailey, is their best buddy! Bailey has been with us for nearly a decade. We got her when Dylan was just 5 months old. 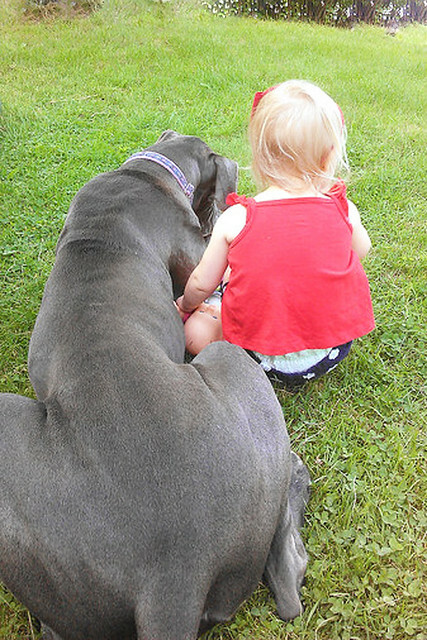 She was a tiny, blue Great Dane puppy at the time, but was already the same size as Dylan. It wasn't long before she passed ME up in size! Dylan and Bailey quickly became best buddies, and they grew up together. 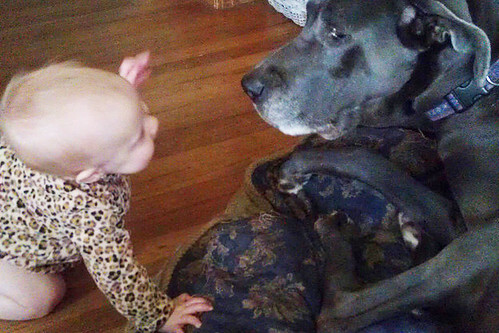 She welcomed three additional children into our family, and instantly became a big part of their lives, too. Bailey is the BEST dog and has so much patience with the kids. I can't imagine a sweeter, more loving dog. She endured hours of dress up play with Lexie. She loves to just be around them. It wasn't long before she started curling up next to Bailey and falling asleep. I have countless pictures of their almost daily naps together. They grew even closer, and could always be found next to each other. Over the past year, Bailey's health declined. 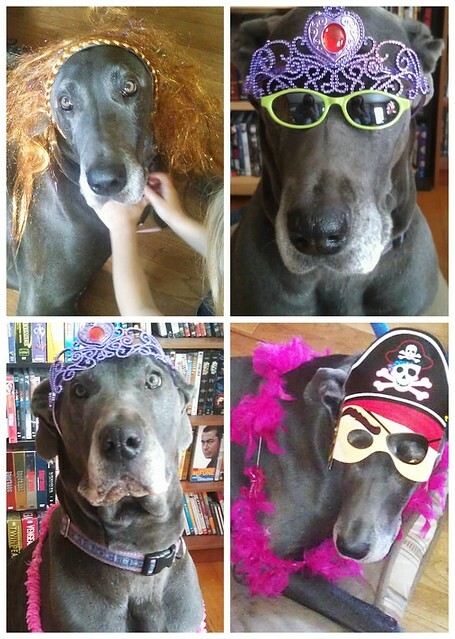 The average lifespan for a Great Dane is 8-10 years, and Bailey has reached the end. In just a few weeks, we have to say goodbye to the dog who has been with us since the start of our journey through parenthood. She will be missed, mostly when we're in our backyard. It's her favorite place. 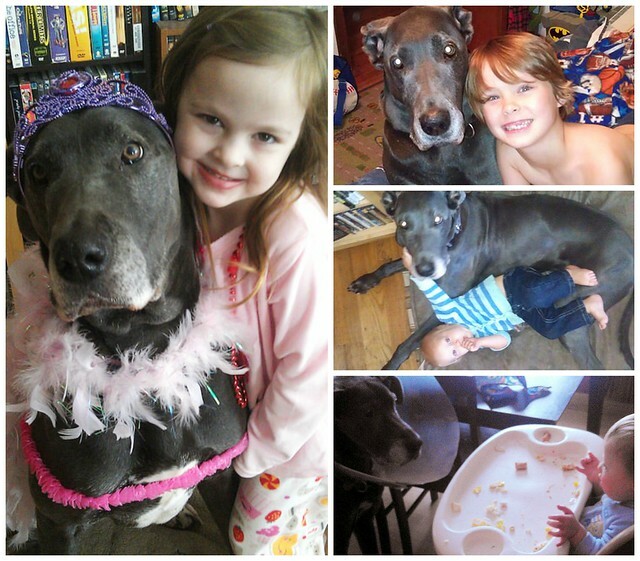 She loved to race through the yard, and was always trailing behind the kids as they played. She still trails behind them, even in the snow. Saying goodbye seems impossible right now, but I'm glad we have so many incredible memories to look back on. So sorry about your fur baby :(. My kids are HUGE buddy movie fans to and I literally screamed when Netflix added Friends. We love the buddy movies here too!!!! We just got a Daniff (Great Dane/mastiff) & this brought huge tears! She is only 10 months! I'm so happy to see how well adjusted she is to your babies!!! I'm sure that's a neat breed mix, and I'm sure she's huge!!! Oh my gosh I am crying just reading this! 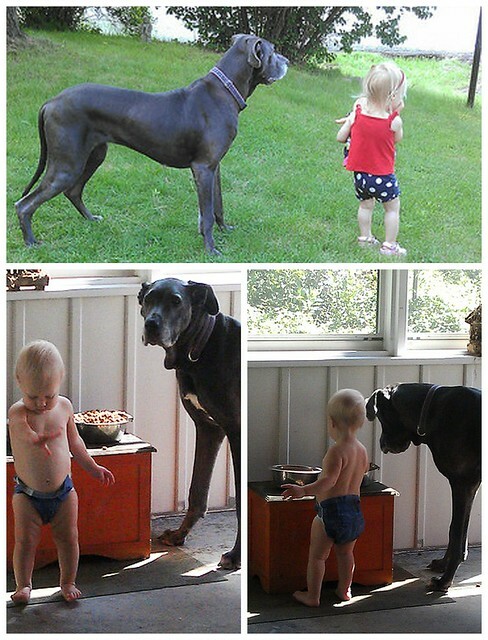 Glad to see that you have so many memories captured in pictures with your furry baby! We love Netflix too! No cable so I'm glad that some of our cable shows are on there and love that the pubs shows are on too for these long winter days. So sorry about your fur baby. Such a hard thing to go through but you have so many great memories and amazing pictures! I'm so sorry to hear about Bailey. I just love the dress-up and nap photos with him. We've been watching lots of movies too during these long, dark nights. Thanks for some of the suggestions!